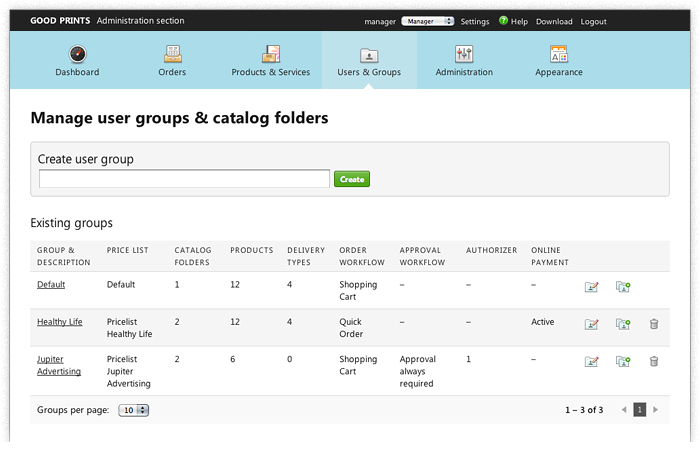 The online shop is optimized for closed user groups. Users always have to register at the login page before they can see any content or start ordering. So this web-to-print online shop is the ideal solution for print service providers offering their services to business clients and for use in in-house print shops of public institutions, universities and corporations. 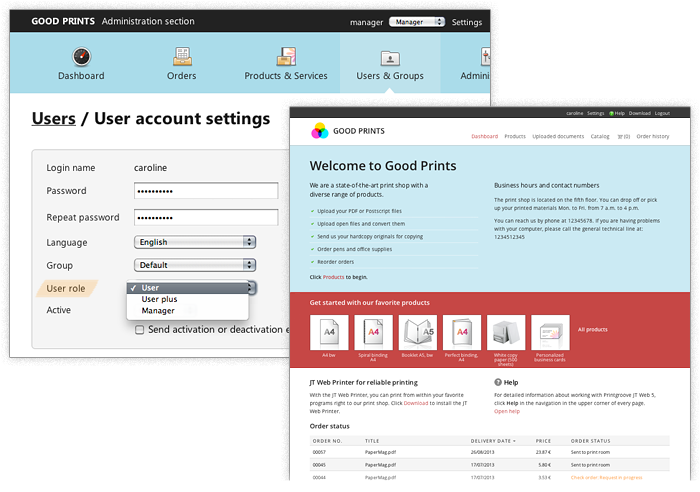 Our web-to-print software solution provides different user roles, each equiped with different rights and offering different views on the web shop. 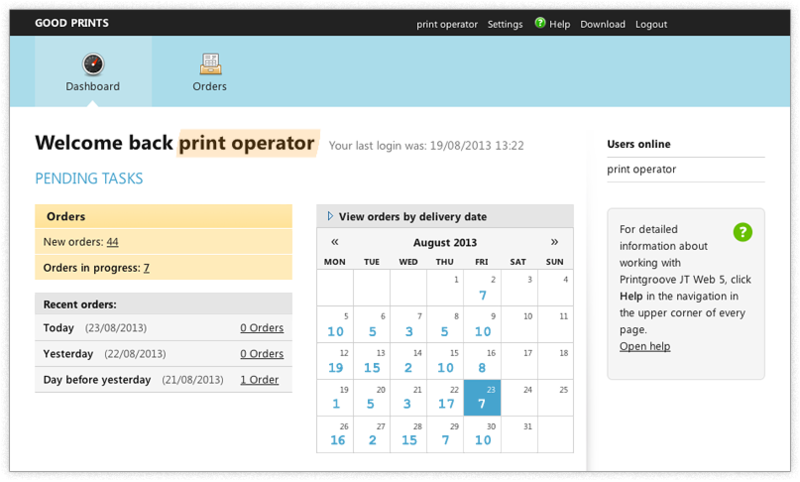 The regular User can place orders and use all standard functionality. 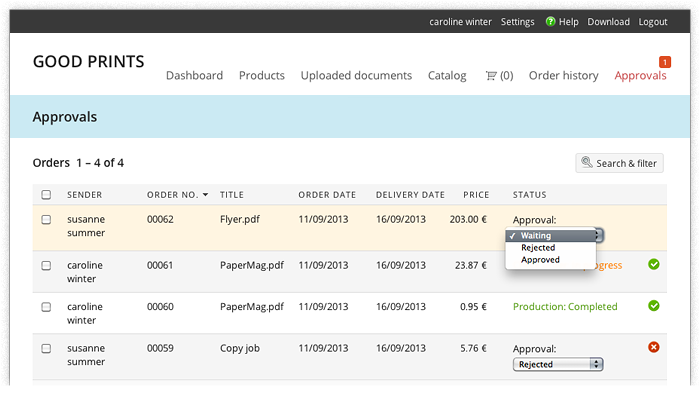 The User plus has additional rights: This special user can approve orders and manage catalogs. 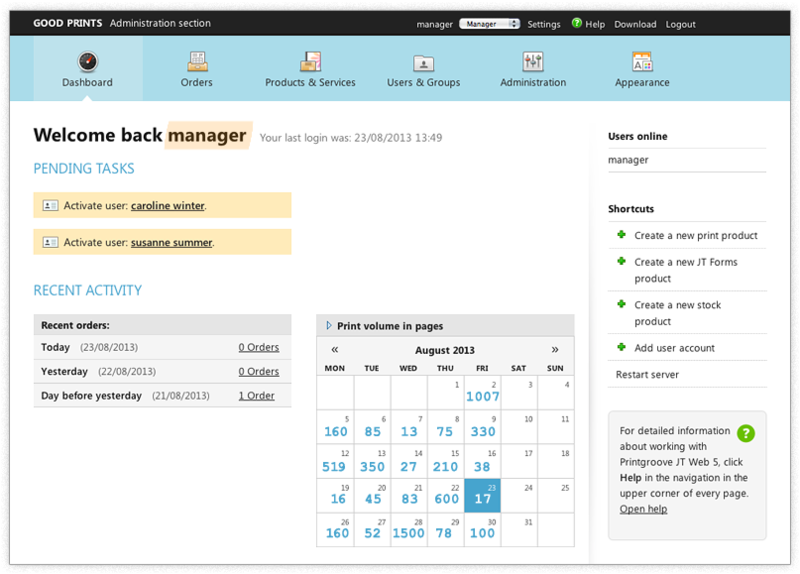 The Manager has access to the administration backend where all the configuration is done. In the central print room there is the Print operator, who manages all incoming orders. By assigning user roles you can exactly define the user rights for each user. For easier handling of users you can arrange them into groups. For each user group you can define different properties: offer them their individual selection of products and delivery options as well as catalogs, their own price list, an individual order workflow and an approval workflow if needed. Use this feature to make individual offers to your users. For each user group you can retrieve existing user data from an Active Directory via LDAP. Additionally, you can decide to offer online payment per user group. 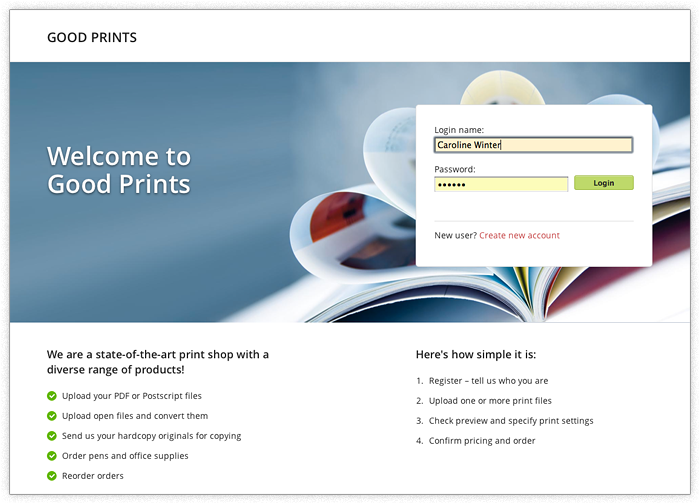 If your customers want to check orders internally before they are sent to the print shop, they can make use of the included approval workflow. In order to set up the workflow a user is defined as User plus and therefore has the right to check and approve or disapprove orders from a certain user group according to the chosen policy: approvals can be set as required in relation to costs, for certain products or they may even be set as always required by default. To avoid any delay in processing orders we included email notifications. The User plus is informed via email as soon as a new order is waiting for approval and so is the user about his or her approved orders or in case they were rejected.